Game of Thrones Season 6 Predictions! 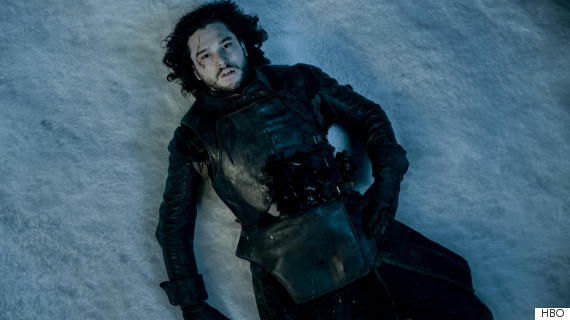 Now that it’s been a few weeks since the Game of Thrones season 5 finale, we can start getting excited for season 6. Okay, it might be a year away but we’re allowed to speculate! Especially the way they left off with so many cliffhangers! Hi Jon you’re not dead okay 🙂 Let’s go through some of the predictions were hoping for, and some we just don’t know anything about. Jon Snow Okay so I consider Kit Harrington’s article with EW (released the second after the finale aired btw) a complete bs story. Technically, like he says in the article, Jon Snow is dead but I think and most people should think, that he’ll be brought back to life. This will probably be possible because of Melisandre. I would love to have this question answered. If the writers didn’t want us to connect Melisandre’s return to the nights watch (to a possible resurrection of Jon), why did they show that scene in the finale? Why not wait until season 6 and have us all biting our nails wondering if she’s going to make it back to the wall to save him? Here’s my theory on all of this: A. We’ve heard stories before of R’hllor the lord of light bringing people back from the dead and if you read into the entire religion or history of the lord of light there’s an like ultimate god I can’t remember his name, and he resembles Jon Snow exactly. Not by looks but by their journeys and accomplishments. Wiki fans correct me if I’m wrong here. B. The concept of bringing someone back from the dead happened in season 3 when Beric Dondarrion along with members of the Brotherhood Without Banners concerted to the religion of the Lord of Light. Beric died six times, and each time Thoros of Myr has brought him back. So we know it’s possible in this world. C. If you look at this show from a bigger perspective it doesn’t make sense to kill Jon at this point. It’s absolutely ridiculous and pointless. I’ve said this before, I believe Khaleesi/Tyrion/Jon are the trifecta characters of this series. George R R Martin spent a little more time on them, maybe he sees more of himself in these 3 characters than he does others. I don’t know what it is, but I do know they are the ultimates. Some people went as far as predicting the final moments of the series. 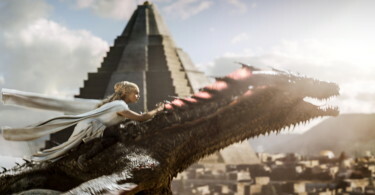 Watching the three dragons ride into the sunset with all 3 characters riding each one. The first thought I had was ‘but they’re not fire they’re not Targaryens!’ And then I’m like wait Jon Snow probably is, and what if Tyrion is? What if Tyrion’s father was never Tywin?! Woah, mind blown. This got really deep and I might be crazy but ya never know! HUGE SIDE NOTE: Where was Ghost while they were killing Jon?! Ugh. So yeah, there’s my theory on Jon Snow. Cersei Now that she’s atoned her sins, like a quarter of them, she’s back at the castle with her Frankenstein. I feel like Cersei won’t make it past season 6, hello ain’t nobody got time for her! The sparrows will definitely find out about her and Jamie, and I think Jamie’s going to be the one to say it. Especially since his daughter admitted to knowing all along and still loving him. He’s def changed forever. I’m hoping Frankenstein will smash her head in so hard it explodes like Oberyn’s but at this – minor detail. Khaleesi There’s a blank space in my brain for Khalessi right now. I have no idea what to think of how we ended off with her. I can hope, that she’s been kidnapped, but she somehow gets the Dothraki tribe to believe in her and join her cause. It’s obvious that she can’t always have her people protecting her, her dragons aren’t going to win over the world for her, she’s going to have to put some work in herself, and that’s completely understandable. I think this will be her time to shine and show she has the power of a queen. Sisters Arya and Sansa, I really have no idea. Brothers Bring Bran back!! Or bring him back in the form of a dragon! Whatever it is I miss that kid. I really would like to see one of the siblings connect again, I don’t know if that’s in the cards or if it even makes sense to see them together but its season 6 and I want what I want. Jorah I really wanted to believe greyscale had the power of good somehow, like maybe you can’t burn in a fire or some sh*t. But obvi Shireen + fire = not good so that theory’s out the window. I can only assume Jorah will live the ‘yolo’ life while looking for his Queen since he’s on the clock. That’s about it. Brienne Besides being the most useless character of season 5 – relax, Stannis was basically already dead, she might play a big role next season. But I have no idea how that’s going to happen. 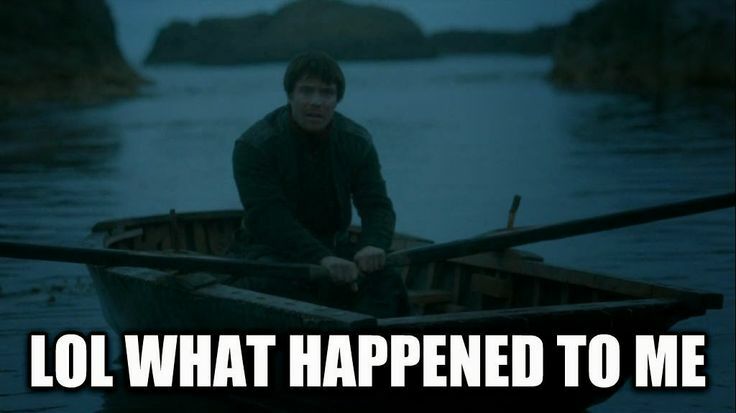 And last but not least, because boy I did not forget about you – Gendry! He’s technically the King right now by being Robert Baratheon’s oldest son but he probably shouldn’t let anyone know that. I think he’s going to come back at some point. Maybe next seasons finale episode? I don’t know how they’ll insert him into the plot but I think he’ll be a crazy twist. Or maybe he’ll just be Arya’s soulmate. I think those are all the theories I have for now. We still have 12 months before next season so who knows what we can come up with. Let me know what you guys think! Follow @hollywd_heroine Follow us on Twitter join the discussion!